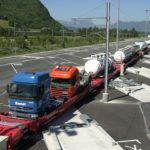 France’s fifth ‘rail motorway’ connecting Calais to Orbassano, Italy, was opened on Tuesday to transport loaded trucks by rail. Back in 2000, French Environment Political Commission Grenelle aimed at developing the ‘rail motorway’ for transporting 500.000 trucks by 2020. In 2015, the rail motorways carried 70.000 vehicles per year so far. Eighteen years ago, the Grenelle Environment – a French Political Commission aiming at taking long term decisions on the climate – pushed for the development of the ‘rail motorway’. Those shuttles transporting loaded trucks over long distances should have helped reducing emissions. By 2020, the Grenelle hoped to see 500.000 trucks transported this way yearly. 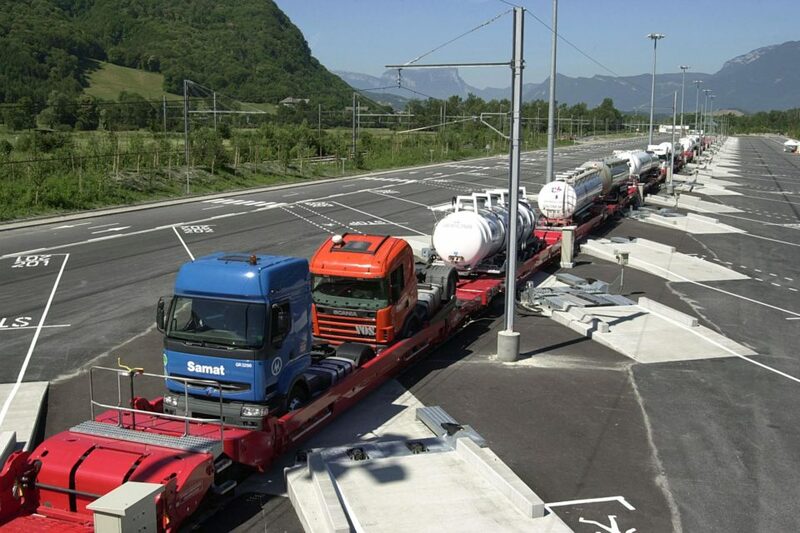 On Tuesday French Transport Minister, Elisabeth Borne, inaugurated a new ‘rail motorway’ line connecting Calais to the Italian city of Orbassano through the Alps. Along with the Calais-Boulou, Bettembourg-Boulon, Sète-Zeebrugge and Sète-Noisy-le-Sec lines, it is the country’s fifth ‘rail motorway’ line. The Channel Tunnel train line also transports trucks between France and Britain. Although ambitions were high in 2000, the development of those ‘rail motorways’ has proven to be slow and strewn with pitfalls. In 2015, only 70.000 trucks were transported, far from the 200.000 trucks target for 2020. “The development was slower than expected because of technological issues on rail equipment and the weight of investments on the French rail network”, explained the Court of Auditors in its 2017 yearly report. Transport professionals have another opinion. According to them, the ‘rail motorway’ doesn’t suit all freight transports. 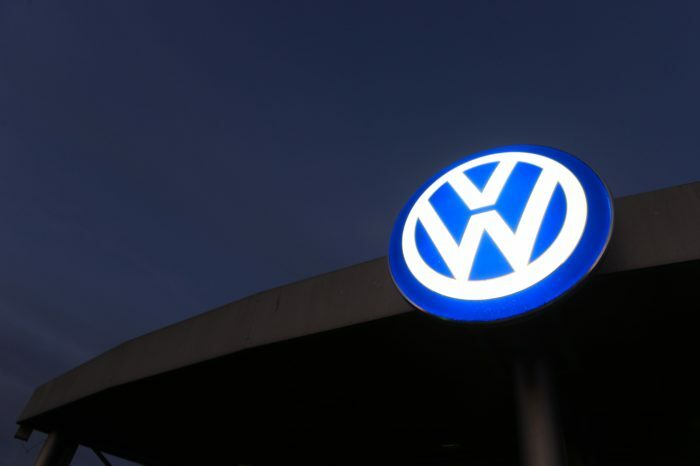 “It doesn’t work for fresh products and e-commerce deliveries with which you can’t wait for the next train because of short delivery times”, explains the National Road Transport Federation’s CEO, Florence Berthelot. She adds that ‘rail motorways’ are profitable for trips longer than 500 km, where the average trip for a French transporter is 130 km. This year, the SNCF strikes have also affected the ‘rail motorway’ network and some transporters are fed up with it. Plus, the operational price increase of 10% planned for 2019 will have repercussions on ticket prices. “Freight still is the unloved child of the French rail network where public transport is favoured”, adds Philippe Duong. Compared to Germany or Belgium, France is lagging behind. One third of freight from the Hamburg harbour is transported by rail while that rate is only one tenth for Le Havre.